This is it. The Big Date. That’s right, your date’s going to see you naked. But your unclothed body won’t be the most revealing thing your date witnesses tonight. It’s your bedroom. Here's what you need to do to ensure your living space conveys maturity and class. 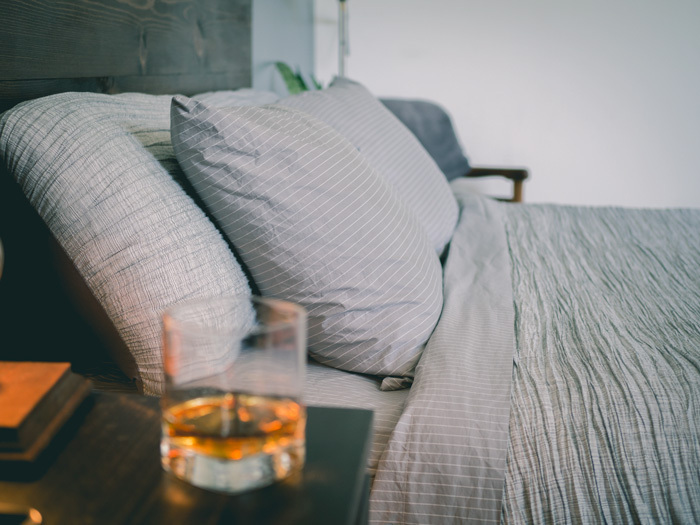 We're proud to partner with Brooklinen for this post, an amazing company making super-soft bedding in masculine colors at fair and accessible prices. Click here to upgrade your sheets – your date will notice. The bedroom is the most personal of spaces and it says far more about who you are than any of the lines you’ve dropped at dinner. Your performance out in public may be what got your date back to your place, but the experience she has here will determine whether or not she ever comes back. Your home is full of telling subtle and not-so-subtle details. And in that way, a living space is like a work of art—it evokes strong, and often complex feelings within seconds of taking it in. The viewer doesn’t have to understand where that feeling comes from—but you do. Focusing on the five senses one at a time will let you compose an inviting atmosphere. And as with fine art, it’s as much about what’s absent as what is there. The approach is simplicity, not subterfuge. You want to appeal to the five senses without distracting from the true focal piece of the evening: that moment between you and her. Big picture: Just like underwear, all of your sheets don’t have to be fancy, but have at least one nice set you use with guests. This matters as much or more than everything else that’s covered in this article. Once you’re in bed and unclothed, the sheets are the entire environment. How they look, feel, and smell matters immensely. Treating your bed means more than buying the highest thread count for the lowest price you can find. In fact, equating high thread count with high quality is a well-debunked myth, yet somehow it remains a tenacious marketing ploy. Thread count simply refers to the amount of fabric per square inch. Generally speaking, the higher the thread count, the softer, denser, and warmer the fabric will be. But this number can easily be inflated in a way that is patently misleading. Not all companies do this, though. Brooklinen is a bedding and basics company that takes the pomp and poise out of getting luxury sheets onto your bed. Brooklinen provides a refreshingly honest take on how quality sheets are made that demystifies the previously opaque world of fine bedding. The truth is simpler than the hype would have you believe. When it comes to thread count, quality matters far more than quantity. And quality threads come from quality cotton. Long-staple cotton. Short-staple cotton has more fiber ends exposed, which means a coarser, weaker fabric. Long-staple cotton can be spun into stronger, finer yarns. Single-ply yarn. You can take one fine, strong thread and use it to weave sheets, or you can take multiple inferior threads and wrap them together. Single-ply produces lighter, softer, longer-lasting sheets than two-ply or multi-ply sheets. Legitimate 200+ thread count. Anything above a 500-thread count is inflated to mislead you. When manufacturers use inferior multi-ply yarn, they count each ply as a thread, when this actually produces a coarser weave. Weave. Quality cotton threads are the raw material. The way they are woven together has a big impact on how they feel. So, when you’re shopping for some grown-up sheets for special occasions, don’t get frustrated when you keep paying more and more for higher and higher thread counts but continue to be dissatisfied. Just buy some sheets from someone who’s not bullshitting you with marketing ploys. If you can only buy one pair of nice sheets, go for something in a mid-range color. 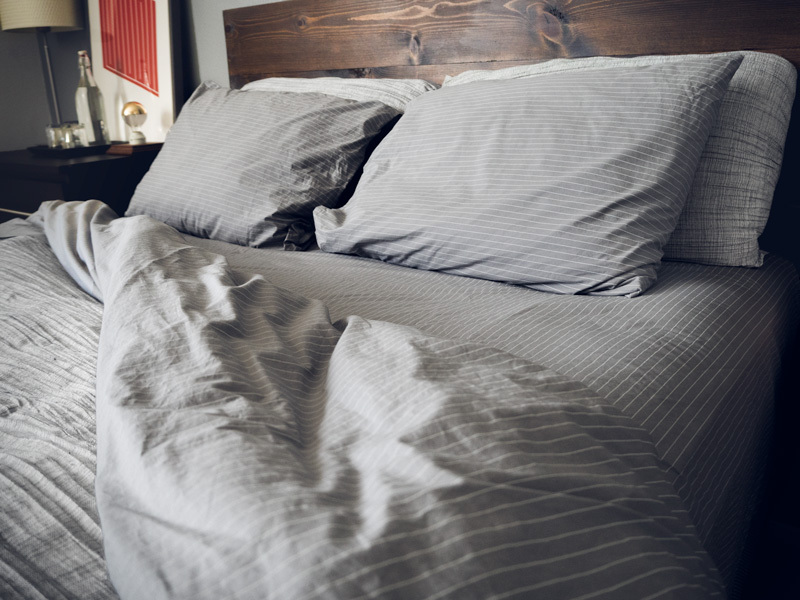 Pure white sheets tend to yellow from sweat over time, and dark sheets show stains, drool, rogue pet hair, and other undesirable evidence of use. 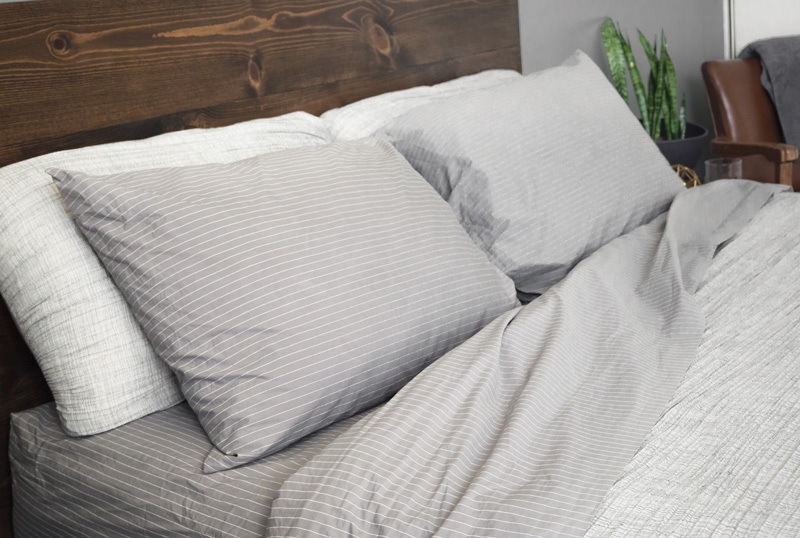 The Reverse Smoke Stripe from Brooklinen is a perfectly classy color choice. Fine detail: The only other factor you can control besides the sheets is the room temperature. Take some time to fine tune your thermostat to get the right environment in the bedroom: not too hot, not too cold. Too hot, and the thought of sharing body heat becomes unpleasant. Too cold, and neither of you will want to remove any layers. The desire to stay in the moment depends heavily on being comfortable, and a few degrees makes a big difference. A little home automation goes a long way here, especially as it turns from day to night and you go from clothed to unclothed and awake to asleep. For full control, consider something like the Alexa Smart Home or Nest. This will let you get your place to the perfect temperature, lighting, and music before you even arrive. 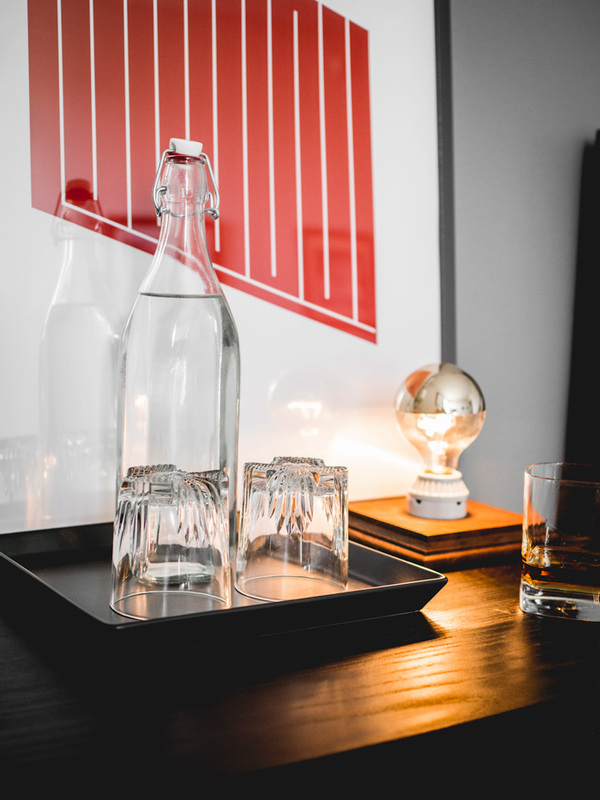 Just like what you wear on your date can make a great impression and influence your date’s view of you and the evening, so does the look and presentation of your bedroom. Big picture: Situate your room so it appears like someone mature sleeps there. 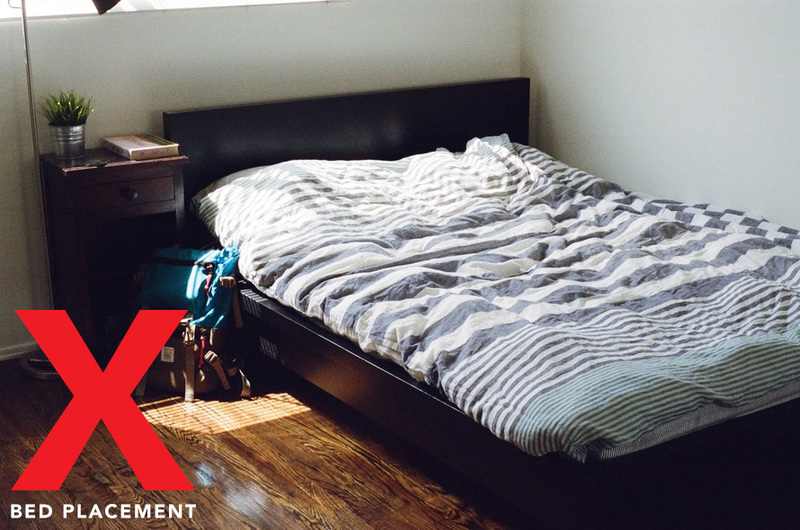 What does a 10 year old’s bedroom and a dorm have in common? The beds are pushed up against the wall to maximize space. Which is fine if there’s only one person in the bed. But rooms intending to accommodate more than one person always include space on both sides of the bed to make getting in and out easy for both people. This is your bedroom, which means you live there. A clean room isn’t an empty room like a staged photo, but it is organized. The bed should be completely free from clutter, clothing should be in a hamper with a lid, knick knacks should be arranged in a tray. Any junk sitting along the walls should be stacked or put under the bed or in a closet. Pay attention to lighting, too. Mood lighting means providing just enough illumination to see the room (and each other) without making it feel like you’re in the spotlight. The right level of low light works like a soft whisper—it invites intimacy by requiring a physical closeness. Candles are nice, if you can pull them off without it feeling overly premeditated. Otherwise, the bedside lamp you use for reading or winding down before you fall asleep is probably all you need for this. The key is to have this thought through ahead of time. Don’t bring her into a dark room, fumble for the overhead light, and briefly overexpose the whole room (and blind your date) while you set up your mood lighting. If you want to go the connected home route, the Philips Hue system can be programmed for a specific ambiance so when you turn the lights on when you get home, they magically have that intimate feel without you having to try and play off dimming the lights. Fine detail: Think about what you use for lighting and decoration. 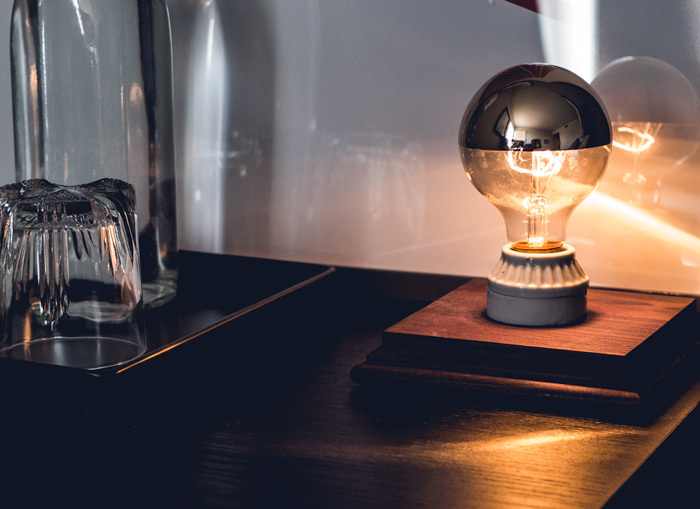 To add a nice touch, go with something custom like our Super Simple DIY Side Table Lamp. It’s a classy and simple look that’ll cost you less than $20. As a bonus, Primer reader Jay Cordes points out that you can rig it with a WiFi controlled light bulb that lets you turn it on or dim it or even add a bit of color all from your phone. Big picture: Appealing to taste is a simple and yet easily overlooked touch. A bowl of mints in the bathroom can help, in case one of you just realizes that garlic bucatini at dinner was a bad idea. This is more for her than you—having a mint will make her feel less self-conscious about getting close. 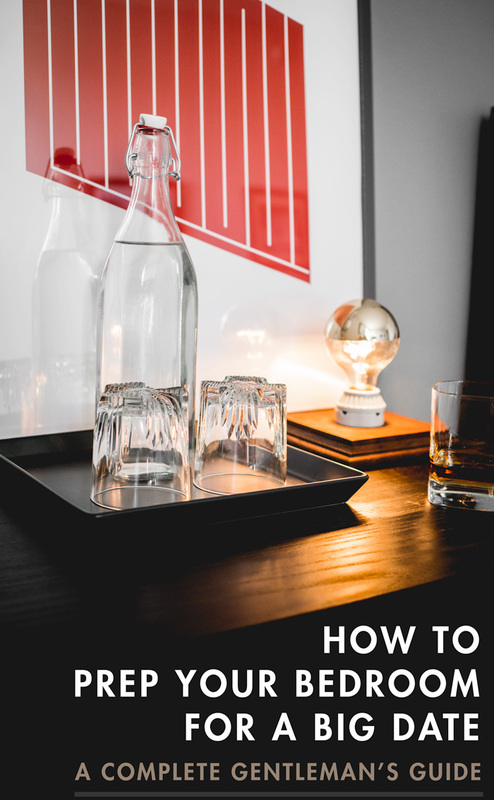 In your room, have a carafe of water and a pair of glasses on the side table. A cool glass of water will be especially refreshing and possibly necessary after getting intimate. Having the water right there let’s you stay in the moment – and in bed – rather than popping up to the kitchen to fetch a drink. Big picture: Fill the silence as quickly as you can to reduce the “ok we’re here, what are we doing” awkwardness, but don’t make a fuss of it. Have some music picked out in advance, or play an artist that came up in conversation earlier. Avoid having the TV on in the background or a stagnant Apple TV menu acting as wall art. If you have confidence in your taste in music, follow your instincts, rather than putting on the Starbucks mix on Spotify. In fact, only use Spotify, Pandora, or some other service if you pay for the commercial-free upgrade. The last thing you want is Lebron James cutting in to shout at you about Sprite in the middle of a moment. Pick music that you’d recommend—it’s an easy segue out of a conversational lull if you find you have a favorite artist in common or, better yet, if you introduce her to something new that she loves. Do you have a go-to playlist? Share it with us in the comments! Fine detail: Put your phone on do not disturb the second you walk in the door, if it’s not already. A vibrating phone during an intimate moment is a major mood killer, but it’s distracting otherwise, too. We’ve successfully rewired our brains to respond immediately to phone notifications. So, it’s impossible not to wonder who a text is from (even if you barely have any mutual acquaintances), and even one or two texts will feel like a torrent of attempted contact with you. Who could that be? An ex? An overbearing mom? A frantic drug-dealing partner? It’s even worse if you’re using your phone to stream music and a phone call busts in. Big picture: The best smell is clean. That is, no smell at all. Don’t think hiring a cleaning person is budget prohibitive, either. You can find options for as low as $30. If you go with DIY cleaning, make sure you get everything. The most common offenses? Odors cling to every surface in your home, especially the soft and porous ones. Do the laundry or send it to the cleaners. Vacuum cushions, shake out your comforter. If you have a dog or a cat or a ferret that sleeps on your bed, vacuum and lint roll like there’s no tomorrow. Pet hair is offensive to the eye and nose, but it’s going to be even worse if a stray hair ends up in her mouth. Take care of dirty toilets and the surrounding floor. Rogue face and body hair that’s been shaved off—their presence is damning evidence that the area wasn’t cleaned. If you are just plain bad at cleaning and lack attention to detail, you should hire someone. This should be obvious but it can’t be reiterated enough: Wash and change those bed sheets. 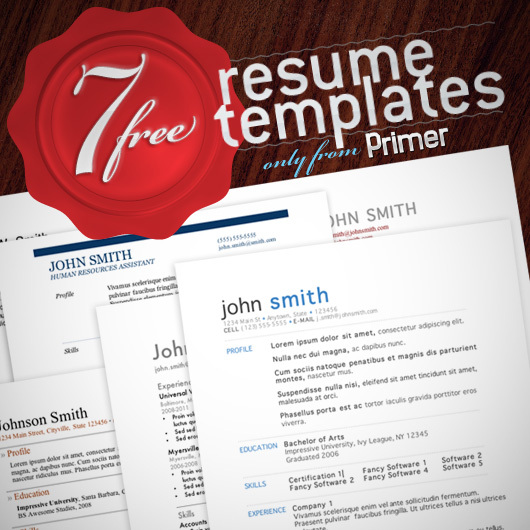 Bottom-line, sheets get scuzzy real quick. Sheets and pillowcases are the number one source of odor in your bedroom, teeming with sweat and oil from your skin, hair, and face. I’d compare dirty sheets to the paper towel you dab a piece of pizza with to remove the grease, but I think it’s grosser than that. Changing your sheets once a week is common sense. And if you have multiple partners, changing the sheets before your next date is just human decency. A candle should be present but subtle, like Wild Grapefruit from Rx Los Angeles. Get it on Amazon. Fine detail: The best smell to start with is a lack of odor. A room should be essentially neutral smelling. Once you get there, you can consider introducing only the subtlest of aromas. Scented-candles, air fresheners, and incense should be like good cologne: Present but subtle. 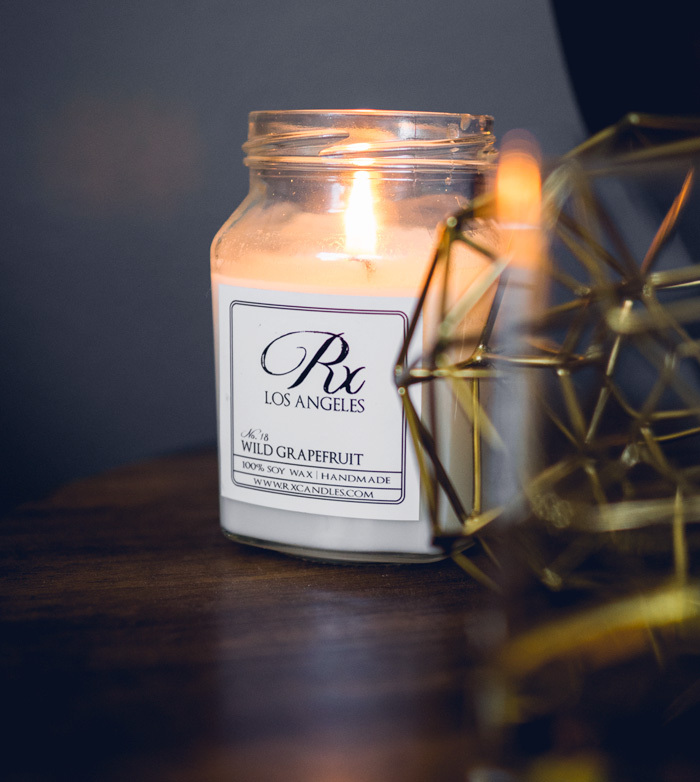 Our favorite candles are handmade by the sisters behind Rx Los Angeles. The best part? They're large, burn for a long time, and are available on Amazon Prime. They smell amazing: Check out Homme for a subtle masculine scent, Fresh Fig, and Wild Grapefruit. All of these measures and fastidious attention to detail can seem like a bit much. But it all boils down to removing distractions and keeping the focus on the intimate moment and the good time you and your date are having. It’s about striking a balance between making the space comfortable and inviting without making it sterile and impersonal. If you think about it, this is what 5-star hotels do best. Having someone back to your place is a moment in time. Lavish attention on preparing the environment so that it enhances, rather than distracts from that moment. And there’s one more major bonus to doing all this preparation ahead of time: confidence. Spending the time upfront to ensure that the details are taken care of will let you be more present and more responsive to what’s happening now, instead of worrying about whether or not she can smell that litter box or see those stains on the pillow case. Special thanks to the awesome folks at Brooklinen for partnering on this post. If you've been frustrated by either cheap-o Target sheets or expensive, misleading thread count options from department stores like we have, head on over to Brooklinen to pick up a set that will feel great and impress your date. Thank you for supporting the brands that support Primer! those rxcandles looks interesting, but always difficult to figure out a scent by reading the ingredients. Are these the standard or luxury sheets? Who makes the duvet cover? Better idea- reed diffusers. Easy maintenance (flip the reeds over every week or so), long-lasting/low cost for what they are, doesn’t overpower an area with a scent, and, most importantly, you never forget to put them out. Do you have any recs for brands or stores you like? I have had 0 luck with them. The ones I’ve tried I can only smell if I’m within a foot of it. I bought Yankee Candle’s “crisp fall” over the weekend when the MIL dropped by, and it’s pretty good-you can catch a drift of fall spice every time you come into the living room. Before that, I picked up an Orange Spice diffuser from Target, of all places.Antica Farmacista’s “Manhattan” smells kind of like a speakeasy, and is pretty potent. I think the secret to success is getting something spicy, which is okay because those tend to be in the more “masculine” scents anyway – I always catch a whiff whenever I enter a room. Also multiple diffusers are great-put one in every room and you’ll have pretty good coverage. Where did you get that tray that holds the water bottle? I kinda like the whole white sheets thing, it just feels clean to me. I live in a converted hotel and I’ve just kinda gone with that vibe. I’ve got white sheets and towels. As for the bed placement, I have a studio and unfortunately up against the wall is the only way it fits. The biggest luxury in New York is space. Don’t think I know anyone that can afford to have their bed in the middle of their space. I live in a decently spacious studio and still couldn’t do so with a queen size mattress. good thing I stumbled onto this article! Rearranged my room just in time for an unexpected date on the weekend. Thanks! What are you playing music from? Phone? Bluetooth speaker? Curious. Thanks! Great article. Andrew, is the duvet cover you’re using here the grey version? 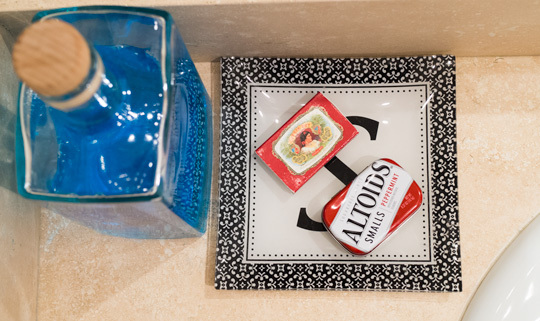 What is that small box above the Altoids on the tray? This is so wonderful and great about Dr saka, this i cannot forget in a hurry, i have been scammed four good times in search for a genuine spell caster to help me bring back my family, after a very hard try searching for a genuine spell doctor i found numerous testimony of Dr saka on the Internet on how he has help people recover their lost glory, i only wanted to try if he could help me recover all the money the fraudsters took away from me, then i narrated all my challenges to him, i gave him the names of all the fraudsters that took all my money and he assures me same way others have been doing, but this time i was more careful as never before, i followed all his instructions as directed, he told me that he needed a particular traditional item which i provided money for him to purchase. After 72hours of his spell casting work, i got a phone call from the fraudsters that took my money one after the other, they all call pleading and apologies, within a period of two days, they returned my money back to me. Till now i am still shocked about this, to further prove his powers he told me that he will cast a death spell to kill one of them, which he did and just within 24hours he told me to confirm as i have his phone number, then i put up a call across to him, but to my surprise i was told that he collapsed and died 45 minutes ago before i called. Dr saka gave the other three fraudsters sleepless night, bad night meres and they were calling for more apology also when they confirm that the fourth man was dead because of the death spell on him, with all the threatening they got through Dr saka they made more confession and sent me all the money they fraud from other people. Which i shared among all the Orphanage home here in the USA. Finally he restored my happiness back with his great spell by bringing my wife and children back to me which i needed so much. He is capable of doing it all. He also cast spell’s to win court cases, spell for office promotion, spell to win powerball / lotto, spell for weight lose. Here is his email anybody can contact help for any problem; [email protected] . where is the gold table top art piece from? Awesome! This might be my new favorite site. It’s great how everything in the picture you have links to and they usually aren’t expensive. Came across this site from watching an older Ashley Weston video. Is the bed frame from west elm as well? What’s really good is the best of The “Quiet Storm” which is the best R & B Romantic Music that you may have seen on a Time Life Infomercial for Romantic Soul. Sadly enough many of the Artists are no longer with us (Marvin Gaye, Teddy Pendergrass, Luther Vandross, Major Harris, several of The Isley Brothers) but they are fantastic to get “Romantic” with. What wall color do you have?